Corporate sustainability is growing in popularity, as companies are increasingly aware of the impact their businesses have on the environment. One simple way to improve your company’s commitment to the environment is through a corporate recycling program. Implementing a recycling initiative is a greener way for your company to operate, benefiting both your bottom line as well as the environment. Here are a few of the perks you can expect to realize from participating in a recycling program. Save money – Businesses are always looking for ways to contain costs, and a recycling program is an easy place to start. Simply reducing the amount of waste you produce will lower your waste removal and landfill costs. To really experience significant savings, combine recycling with a concerted effort to print less, implement duplex printing whenever applicable, and utilize energy-efficient office equipment. You’ll save money by using less paper, ink or toner cartridges, and electricity. Boost your reputation – Statistics show people care about the environment and prefer to do business with eco-friendly companies. According to a report by Shelton Group, 66 percent of consumers said they would pay more for a product if it came from a sustainable brand. Business leaders are well aware of the positive impact environmental stewardship has on their company, with more than 90 percent of CEOs saying sustainability is fundamental for success. Companies demonstrating a commitment to the environment generally outperform those that don’t. A recycling program is a surefire way of improving your company’s reputation among clients and prospects, as well as prospective employees. Increase employee morale – Employee engagement is a popular buzzword these days, as smart employers know an engaged employee is a more productive one. Most employees want to work for companies committed to the environment. This is especially true of millennials—the largest generation in the workforce—the vast majority of whom believe a company’s sustainability is important. Simply knowing they work for a socially responsible employer will help improve your employees’ engagement. Happier employees are also less likely to leave, reducing turnover rates. 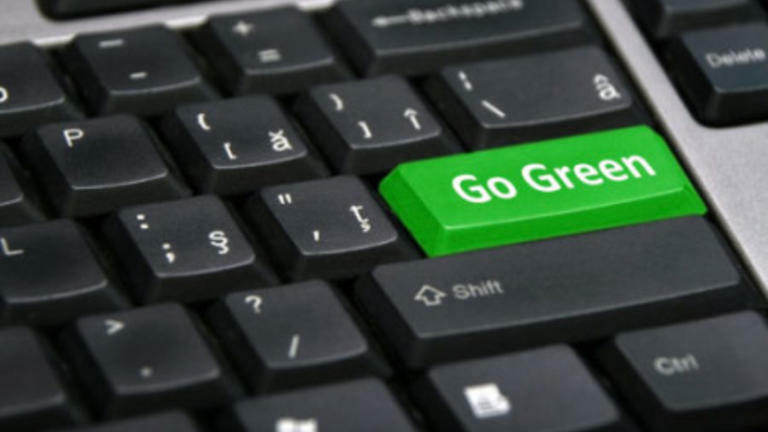 Is your business ready to do its part by becoming more sustainable? Contact us today to learn more about implementing a corporate recycling program in your workplace.